Life In A House of Blue ! : 1st Country Bob's Winner at Izeafest ! Home > izeafest > 1st Country Bob's Winner at Izeafest ! 1st Country Bob's Winner at Izeafest ! 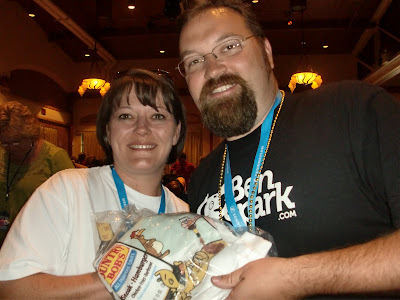 The first winner of many giveaways I am doing at Izeafest was Drew from Benspark.com He won a great shirt from Country Bob's. I have talked to Drew a few times online and it was great meeting him and his family at Izeafest.